Alan Headbloom is the Co-Creator and Host of Feel Like You Belong. He has worked, lived, studied, taught, and breathed international and intercultural communication his whole active life. When he isn’t talking to interesting guests on the show, he is talking with them in check-out lines, receptions, and festivals. He wants nothing more than to share his love of language and culture with fans of FLYB, reduce misunderstanding, and create more harmony in our highly mobile world. Kim Roberts is the Co-Creator and Executive Producer of Feel Like You Belong. Her goal is to bring a level of audience involvement and interactivity to the show in order to promote learning and community building. In her day job, Kim works as Professor of Film & Video Production at Grand Valley State University, where she teaches traditional and new media production; in 2017, she was named chair of the new Visual and Media Studies Dept. With a passion for design, fabric, color, and beauty, Kim looks to constantly enhance the visual world around her. + Kyle Macciomei is a Junior at Grand Valley State University, where he is studying film and video. He has been editing for Feel Like You Belongsince fall 2018. He is very proud to be spreading positive messages of acceptance and understanding through the show. In his free time, Kyle cares for his guinea pigs and helps run the Public Relations Department of GVTV. 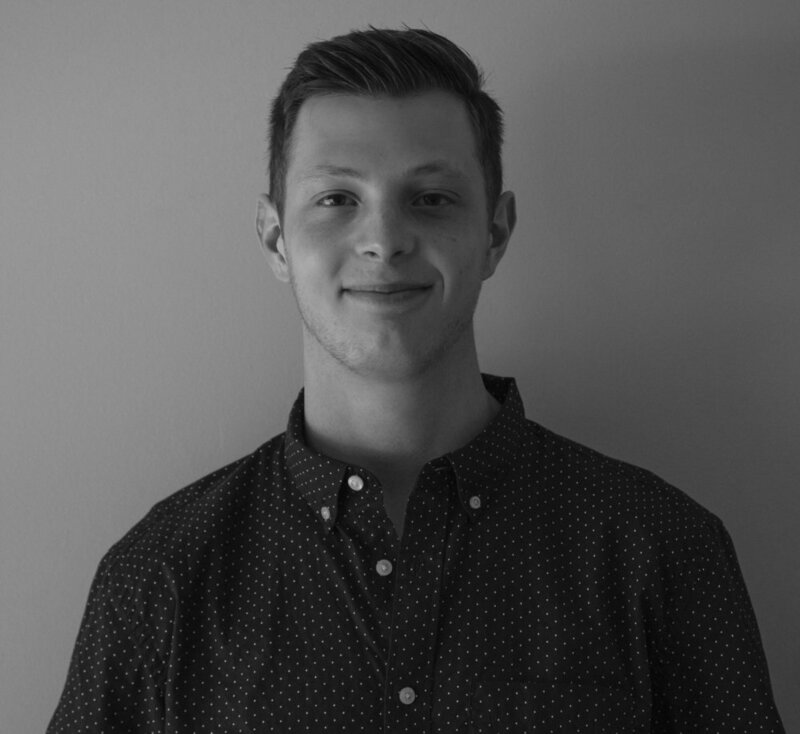 + Josh Webb is a Grand Valley State University Film & Video student, working as winter 2019 editor for Feel Like You Belong. His interests lie in assistant producing, as well as working with audio and cameras. Josh looks to work in television in the future, as well as music videos and short film work. He is using his FLYBopportunity to learn how to bring our guests’ stories to life. + Sean Pollock is a Film & Video student at Grand Valley State University, graduating with his Bachelor of Arts degree in the spring of 2019. Sean has focused in post-production, with skills in editing and motion graphics. His true passion resides in 2D and 3D animation. After graduation, Sean hopes to move to Florida to work with local entertainment companies and their broadcasting divisions. + Kimberly Murray is a Film and Video student at Grand Valley State University. Graduating in 2019 with an emphasis in Documentary and Editing, Kimberly is passionate about telling the diverse stories that already exist within our community. 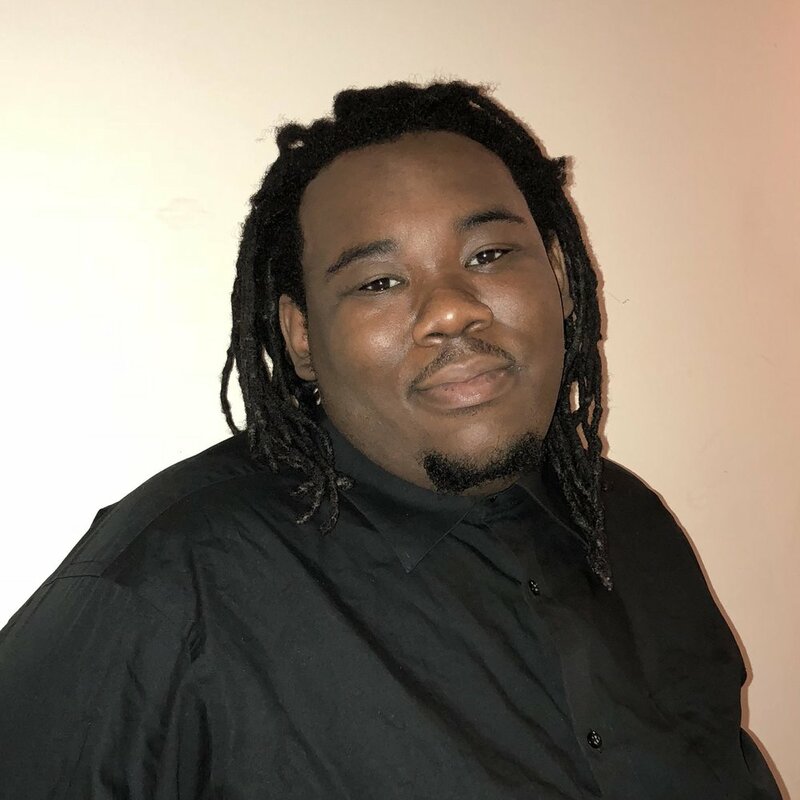 Chad Hilliard is a Grand Valley State University Film & Video graduate who worked as the fall 2018 assistant producer for Feel Like You Belong. As a student, Chad’s focus was in producing, with a goal to bring that skill set to the narrative television industry. Producing is a powerful fit for him since he loves associating with others and making people’s stories come to life. Deanna Fife is a Film and Video Production major at Grand Valley State University, with minors in human rights and business. With plans to graduate in the spring of 2020, she plans to pursue a career directing political documentaries and musicals. A proud crew member of Feel Like You Belong, Deanna believes that film is one of the most powerful media with which to make the world a better place. Emily Loper worked as a summer 2018 editor for Feel Like You Belong. She will graduate from GVSU in 2019. Andy Cach worked as a summer 2018 editor for Feel Like You Belong. When he is not working on his studies in the Film/Video Production major, he can be found producing and filming improv with his Grand Rapids troupe, Plant Parenthood. Ashley Holwerda is a graduate of Grand Valley State University, having majored in film studies and minored in art and design, which is why she spends much of her free time sketching. Her interest in film began at Orchard View High School where she worked on the student news program The Cardinal News Network. She has experience in both camera operating and film editing, but would eventually like to implement her art skills and try storyboarding or cinematography. 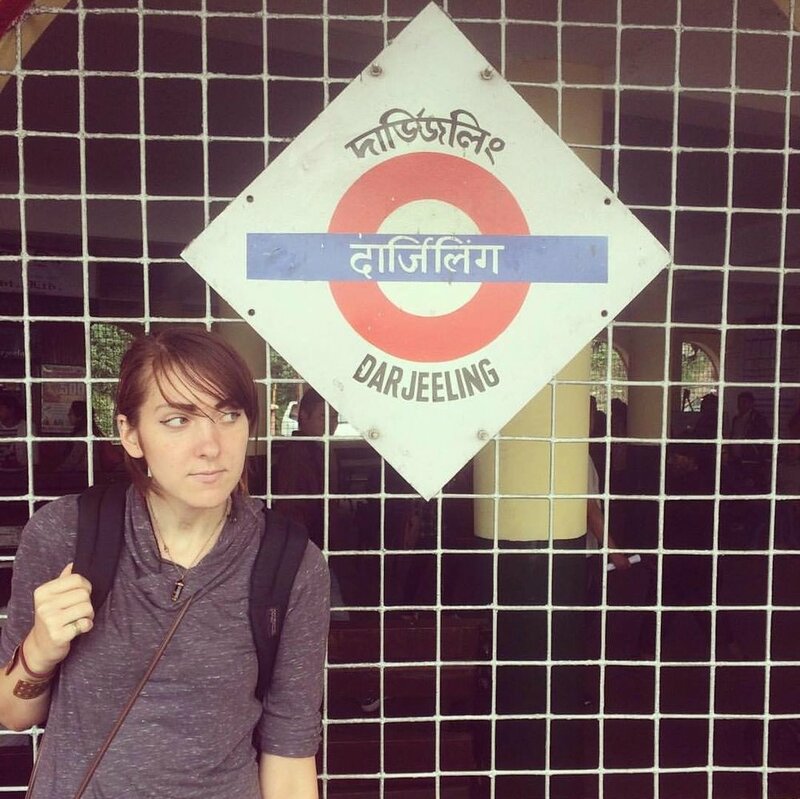 In college, Ashley spent time studying in Bhubaneswar, India where she continued her focus on film and art. By studying outside the U.S., she learned valuable life skills, while also broadening her perspective by learning about a foreign culture. TeAira Reed is a 2018 graduate of Grand Valley State University, majoring in Film & Video. Her faith and her love of people and film have guided her to the pursuit of this degree. TeAira's goal is to write, produce, direct inspirational films and create inspirational television shows. She enjoyed working as a FLYB crew member, meeting unique individuals, and hearing their stories. Austin Stuk is a 2018 graduate of Grand Valley State University, where he earned a B.S. in Film and Video. Austin enjoys all aspects of film and video production, but finds the most joy within cinematography and editing. He hopes to use his skills to help others tell their stories and emotionally connect audiences with his work both both these areas. Austin worked as summer 2018 editor for Feel Like You Belong. Ben Stevens is a graduate of the Film and Video Production program at Grand Valley State University. He hopes to write and produce fiction film and television in the future. Ben is also an aspiring comedy writer and wants to one day move to New York City. He joined Feel Like You Belong because of his interest in the talk show format, and the importance of the stories FYLB tells. Graham Hall is a Film and Video Production graduate from Grand Valley State University. His main focus is script-writing as well as cinematography. He also runs the website and social media outlets for Grand Valley Television, the student-run TV station at GVSU. He joined Feel Like You Belong in order to learn the ins-and-outs of a talk show and for the chance to work at a real television station. Jackson Boomershine is a film and video major at Grand Valley State University. He is trying to make it was an internet content producer, making online videos, stories, art, music, and comics. He edits, voice acts, acts, films, writes, animates, and directs. Jonathan McGowan is working on bettering his skills behind the camera so one day he can turn one of his own scripts into an actual film. He sees himself in the future taking a lot of the lessons learned from Alan being a talk show host to using them in his own show one day. 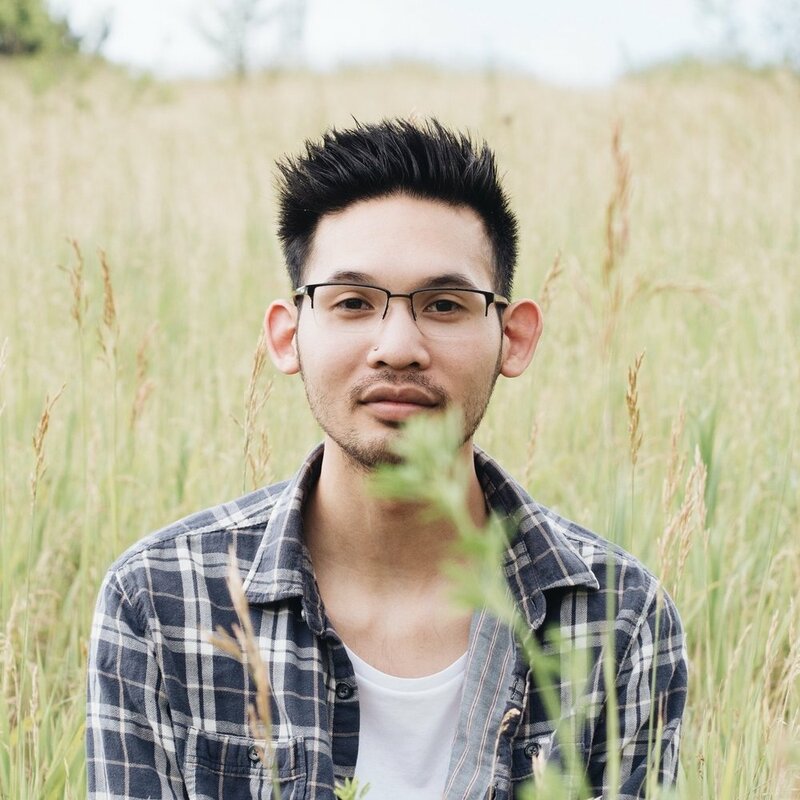 Growing up in Michigan, Seth Trowbridge was adopted from Vietnam when he was 5 months old. He is a Film graduate from Grand Valley State University with a focus in Producing and Writing. During the summer of 2017, he helped line-produce and UPM Grand Valley's Summer Film, "For the Birds." He was initially drawn to Feel Like You Belong because of its mission statement of sharing life stories from minorities of the United States, and he's very grateful to be a part of this project. Spencer Russell is a graduate from Grand Valley State University, majoring in Film and Video Production and minoring in Women and Gender Studies. Her primary goal is to write, create, and tell stories about social issues in society that will catch the attention of the public eye. She believes that it is not only important to have your own voice, but to also help provide a voice to others who lack the platform. To Spencer, Feel Like You Belong is a great start to accomplishing this goal! In her free time when she's not writing stories or making films, she likes to watch movies, read fiction books, spend time outdoors, spend time with friends and family, and cuddle with her cats. Tai Johnson studies Film and Video at Grand Valley State University. She enjoys scriptwriting, drawing, story planning, editing, camping, playing the Sims, and singing karaoke. She would love to one day create her own animated television series that explores social issues. Until then, she plans to make fun and laid-back content with her friends to help improve her skills. 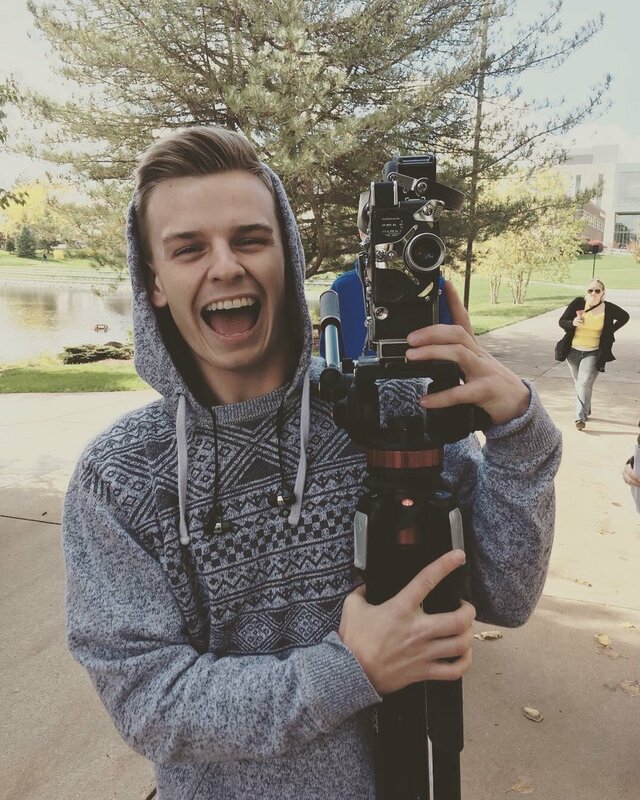 Chandler Reese is a recent graduate of GVSU looking to further his career in filmmaking. His goal is to head out to Los Angeles and have a career in writing and directing. He was an intern for FLYB for the fall semester of 2017 and learned a lot from the stories that are interviews shared with Alan. Lucas Nielsen is a senior in the Film/Video program at Grand Valley State University, looking to graduate in 2018. He writes scripts for fiction shows on GVSU's student-run TV station and is currently writing several features, one of which is in the process of pre-production for filming summer 2018. On the 2017 GVSU summer film project, he was the on-set editor. When not writing, editing, or producing his own projects, Lucas enjoys hiking (see photo). He hopes to write for television in the future. Danielle Grow studies in the Film/Video Program at Grand Valley State University with an emphasis in cinematography and editing. Her largest passion outside of filmmaking is playing roller derby. Danielle skates with the Grand Raggidy Roller Derby League based in Grand Rapids, Michigan. When she's not making films or on her skates, she can be found riding her bike. Dai'jah Todd is a Film/Video major at Grand Valley State University, minoring in African American Studies. As a GVSU student, she spent one year studying in Japan. As a 2017 summer intern at FLYB, she focused on editing guest interviews and educational segments for the website and for broadcast. She enjoys learning new languages, reading books, taking photos, and watching movies. A personal goal is to travel to all 7 continents and all 50 U.S. states. Allie Berends fell in love with the art of video editing when she was 16, and her passion since then has only grown. It led her to major in Film & Video Production at Grand Valley State University. When she is not in class, she enjoys show-bingeing on Netflix, hanging out with loved ones, eating on a continuous loop, playing too much Sims, and snuggling her pug. In preparation for her April 2018 graduation, she's joined the FLYB team, getting a cultured taste for the working world of editing before diving into it full time. Stephanie Norton finished her Bachelor of Fine Arts in Cinematic & Media Arts from Compass College of Cinematic Arts, where she has worked in the roles of producer, line producer, marketer, and writer. In 2015, she started the YouTube channel "Entertainment For All Network." 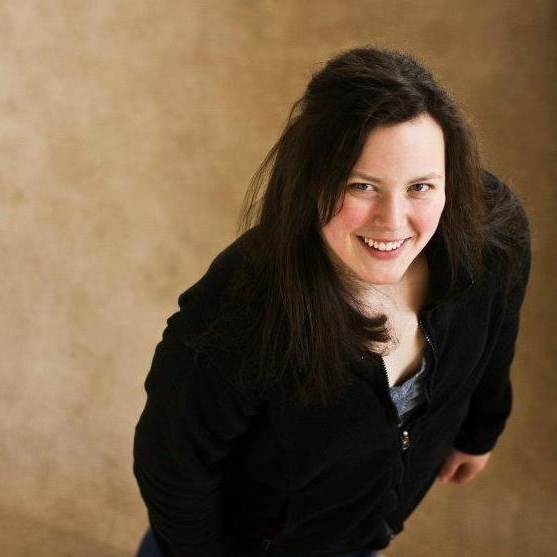 Beyond the film industry, she is involved in the theatre community, assisting, directing, working backstage, and performing in a total of 40 productions in Grand Rapids. Stephanie is also working on creating awareness to ultimately lead to the cure for Reflex Sympathetic Dystrophy. Down the road, she plans to become involved in teaching and sharing her knowledge and skills with future storytellers. Currently finishing a Film & Video Production degree, Caitlin Dominowski hopes to go into producing and creating Fictional Television. When she's not studying, she enjoys spending time with friends, family, her dog Dewey, and Netflix. Someday she hopes to travel the States, Europe, and Australia to take in some culture and understand different parts of our world. Interning at FLYB is a good first step! Jacob Hop is wrapping up his film and editing degree at Compass College of Cinematic Arts. When he’s not editing, he is busy making music videos and game designing. As an FLYB intern, Jacob is editing various segments for the website and broadcast. In his spare time, he enjoys dancing and spending time in the great outdoors. Nick Kogowski is a 2017 graduate from Grand Valley State University. They worked as the b-roll gatherer for FLYB's summer production team. Nick has an unhealthy obsession with cinema, with an eye on becoming a noted scriptwriter, director, cinematographer, production designer, or author (an ambitious plate!). When they are not busy working with cameras for FLYB or WGVU, they love to watch and discuss films with their fiancée and friends, listen to abrasive metal music, write film criticism, and play guitar. Paul Rice recently completed post-production studies at Compass College of Cinematic Arts. When he's not editing or designing, he enjoys relaxing and playing video games. Paul was responsible for creating promotional content for Feel Like You Belong. After college he hopes to work in motion graphics, but in general, he just likes producing creative stuff. Alex Faber was a 2016 editor for Feel Like You Belong. He studies at Grand Valley State University, in the Film/Video Production Program with focuses in film production and animation. He is from White Lake Michigan where he began animating in high school. He hopes to work in advertisement production making visual media. Clayton H. Flechsig was one of two 2016 show editors for FLYB. He was born in a maelstrom on Lake Michigan in 1995 and has since carried the elemental power of wind. Referring to himself as a "creator," Clayton has always focused his interests, time, and talents towards producing multi-media art or entertainment. In this way, he believes he is fulfilling his place in the cosmos. Clayton is currently attending Grand Valley State University for his senior year. Majoring in Film and Video with an emphasis on animation and writing, he hopes to one day become a writer/director for his own feature length films. Clayton enjoys coffee, dark chocolates, animals of all shapes and sizes, gooseberries, cunning logistics, cooking, and staring into the abyss. He wishes you safe travels, and a hearty meal. 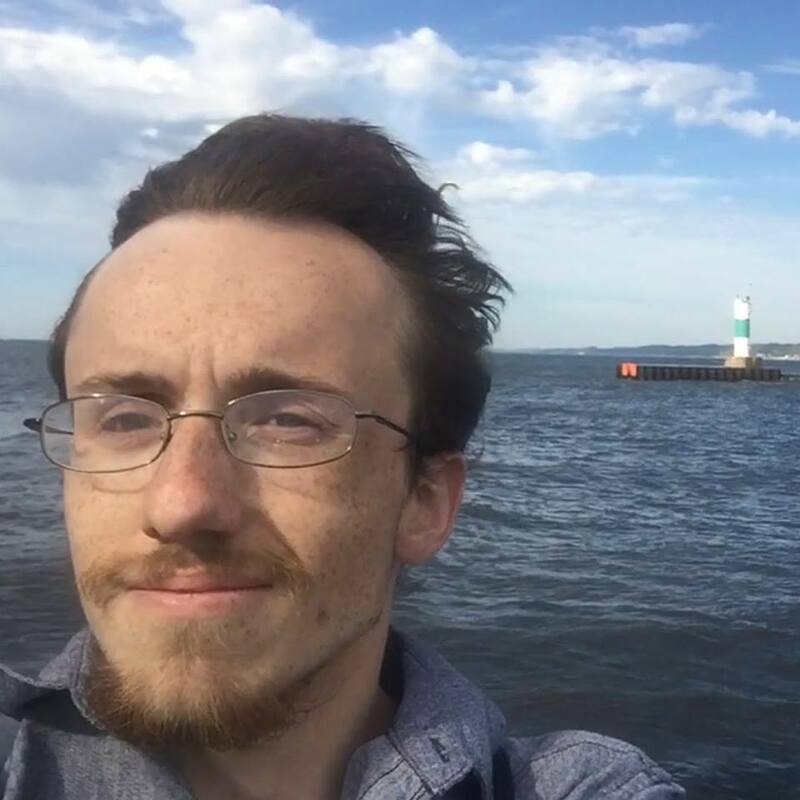 Karsen Kolenko is a graduate of the Film and Video program at Grand Valley State University, when he served as social media intern and production assistant for Feel Like You Belong in the Winter of 2016. He maintained the Feel Like You Belong website as well as all of the social media channels. In his free time, Karsen enjoys working on film, music, and art projects. Alison Work was a Film Student at Grand Valley State Universityand social media intern for Feel Like You Belong. After graduating in April of 2017, she looks to pursue a career in video editing, cinematography, or graphic design. She was also a highly dedicated member of the GVSU Track and Cross Country teams. Holly Crevier is a 2015 graduate of the Film & Video program at Grand Valley State University. 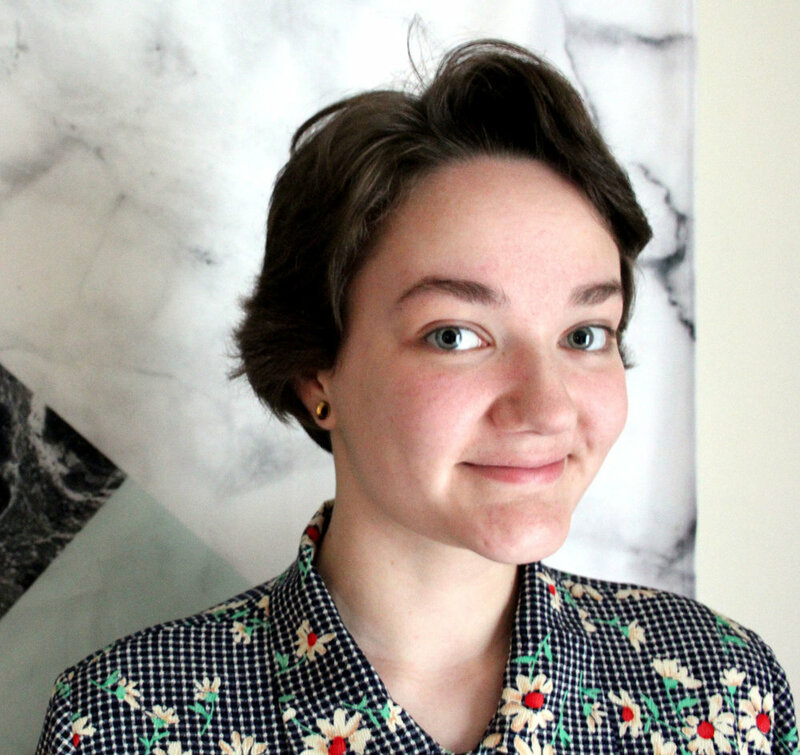 She was one of the Winter 2016 editors and production assistants for Feel Like You Belong. In her free time Holly is a member of the GVSU Quidditch Club and loves to watch UK TV shows and films. Forrest Sylvester was a Film and Video Major at Grand Valley State University and walked in 2016's Graduation Ceremony. He worked as Assistant B-Roll Gatherer/Manager for the Feel Like You Belong Production team of Summer Interns. His interests lie in Movies, Animation/Cartoons, Television, Video Games, Art/Artistry, Writing/Poetry, Reading, and Surfing the Internet. He hopes to have a career in Film, Animation, and/or Video Games specializing in Concept Creation and/or Transmedia. Justus Wise was a Film & Video Production student at Grand Valley State University. He focuses on editing and animation but enjoys all aspects of film making. He worked with Feel Like You Belong as a special projects editor and production assistant. Justus spends the majority of his free time animating, rock climbing, or hanging out with friends. Daniel Beals is a graduate of Grand Valley State University, with a major in Film & Video Production. He worked as a Winter & Spring 2015 production assistant for Feel Like You Belong. Daniel's favorite things in life are coffee, video games, and Netflix. He is an avid soccer fan, supporting the Chicago Fire. Nikki Reitz was a Film and Video major at GVSU, graduating in April 2017. She worked as editing intern for Feel Like You Belong and helped out on production shoots at WKTV studio. Nikki is very passionate about movies and hopes to one day join the Motion Picture Editors Guild. Sarah Ignasiak was a Film and Video Production student at Grand Valley State University. Her focus was animation and producing, but she loves all aspects of filmmaking. She enjoyed working as an animator and production assistant for Feel Like You Belong during the Winter semester of 2016. In her free time she is a watcher of movies, a superhero enthusiast, and a lover of music. 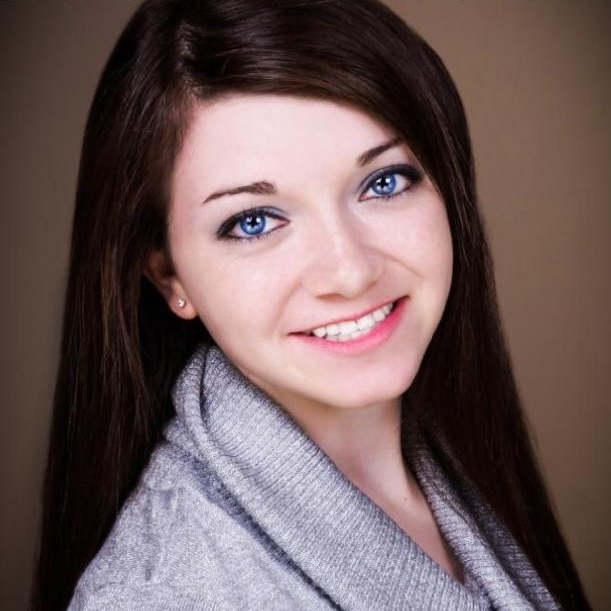 Maegan Marks was a Film student at Grand Valley State University. She spent Winter 2015 working with Feel Like You Belong, growing her skills as an editor and production assistant. In her free time, Maegan was a member of the GVSU Equestrian Club and loves reading and watching movies. Emily Stewart is a recent Film & Video graduate of Grand Valley State University. She worked as Spring editing intern while looking for opportunities down the road. She loves hanging out with friends and watching movies in her spare time. Her nephew is "the light of my life." Ryan Gravelle is a senior at Grand Valley State University pursuing a bachelor’s degree in Film and Video. He was the fall 2014 Editor of Programming for Feel Like You Belong. On days of studio shoots, he sat in the control room and reminded the host to smile on camera. In his free time, Ryan loves collaborating with others to produce creative video content, including shooting b-roll for FLYB and editing special projects. Ryan also enjoys writing and performing music on guitar and drums. Jaclyn Ermoyan is alumna Social Media and Public Relations Intern at Feel Like You Belong, where she managed the show's social media and website and also created FLYB's e-newsletter. In addition to increasing viewership, Jaclyn helped out on production by installing/striking the set and running the teleprompter on studio days. She is a 2017 graduate of Grand Valle State University in Advertising and Public Relations. On the international front, Jaclyn has studied the French language for 5+ years and spent a month working in Nicaragua. Danielle Petek is alumna summer 2014 Editor of Programming for Feel Like You Belong, where she was responsible for increasing post-production quality and giving the show new changes. Danielle interned as a senior from Grand Valley State University, where she double majored in Film & Video Production and History, with a minor in Middle East Studies. In her free time, she enjoys catching up on the latest television shows, reading historical accounts, practicing Arabic, and baking. Ellen Holcomb worked as Promotional Video Editor for Feel Like You Belong, in addition to participating in studio production. She came to Michigan as a new Film & Video graduate of the University of Toledo. Ellen could be seen roaming the halls of WKTV on the first production day of 2014 with Skype streaming from her iPhone as we tested out the interface with our recording equipment. As a new hobby, Ellen likes to practice pointing out Michigan cities on the palm of her right hand. Dennis Dembeck was the music composer for the FLYB original themes. After graduating from Grand Valley State University with a degree in Film and Video, he moved to New York City to pursue a masters degree in Music Technology. Dennis currently works at Flavorlab Audio Post in NYC where he composes music and engineers post-production sound for Film and TV. Staci Sherman worked as Fall 2014 Technical Director and Co-Editor for Feel Like You Belong during her last semester at Grand Valley State University, where she majored in Film and Video Production. A gigantic nerd, Staci proudly enjoys the finer things in life, such as playing video games with her friends, engaging in tabletop role-playing, and lying in the grass to watch the night sky. 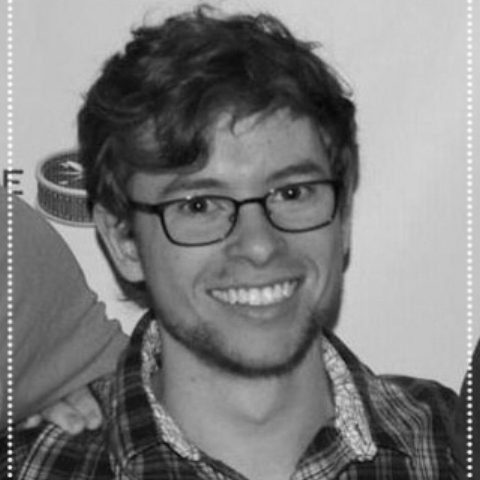 Jake Weiss is alumnus Co-Producer and Social Media Coordinator. He was responsible for showing the world what FLYB was up to. Jake interned as a senior from Grand Valley State University, majoring in Film & Video Production. He maintained the FLYBwebsite, coordinated the weekly newsletter, and helped with production on studio shooting days. One thing you may not know about Jake is that he spends his free time contemplating and reading about Tao. Alyssa Leske is alumna Co-Editor of Programming. As a crew member on studio shoots, she performed as the Audio Technician and Teleprompter Operator for Feel Like You Belong. On her first day with us, she also participated in trouble-shooting, testing, and successfully recording our first Skype interview! She interned as a senior Film & Video Production student at Grand Valley State University. In her spare time, Alyssa loves watching old movies (especially Hitchcock) and playing Super Nintendo games. Joshua Rose is a graduate of the Film & Video Production Program at Grand Valley State University. He served as the social media intern during Fall 2015, where he worked to strengthen the show's presence on YouTube. Joshua is the co-founder of AGA Media Entertainment, LLC, which he looks to grow into a major studio. Wesley Buskirk is a graduate of Grand Valley State University, where he received the Distinguished Student Award in Film & Video. In addition to being a devoted academic scholar, Wes also passionately lives as a video director, graphic designer, copywriter, audio technician, voice actor, and really any other role he needs to fulfill in order to complete his life's never-ending to-do list! Paige Thulin is a 2015 Film & Video graduate of Grand Valley State University's honours college. She spent Winter 2015 working for Feel Like You Belong as an editor and animator. She is an avid knitter, Scottish Lady, and amateur ukulelist. Adriana Robinson is a Film & Video Production graduate of Grand Valley State University. Documentary film and camera work are her favorite aspects. She enjoyed working on the Feel Like You Belong set as a Winter 2016 video editor and b-roll specialist. In her free time, Adriana likes camping, traveling, and working with animals. Taylor Bouwens was a Production Assistant Intern at Feel Like You Belong during the Winter 2016 semester at Grand Valley State University. He is a 2016 graduate of the Film and Video program. He is goal is to become a cinematographer and is currently strengthening his skills in lighting. Besides film, he has a penchant for comic books and playing guitar. Josh Moreno was a broadcasting major at Grand Valley State University, coming to Michigan from Chicagoland. He worked as Production Assistant on Feel Like You Belong’s fall 2014 season, running camera and slates in the studio. He also assisted with editing raw footage for broadcast. When Josh has time, he likes to watch Netflix, hang out with friends, and watch Chicago sports. A major sadness was seeing his Chicago Bears lose twice to the 2014 Detroit Lions. Artie Bowman is alumnus Co-Editor of Programming. As a crew member on studio shoots, he worked as Technical Director in the control room. He also made contributions to the show’s motion graphics. Artie interned as a junior at Grand Valley State University, studying both Film & Video Production and studio art. When Artie isn’t creating interesting visual effects, he can be found surfing YouTube for the latest editing techniques or boxing at the local gym. Nicole Saucerman is a 2015 Film & Video graduate of Grand Valley State University, where she worked as an editing and production assistant intern for Feel Like You Belong. A "huge comedy nerd," Nicole likes watching comedy shows and listening to comedy podcasts. She also spends free time writing, catching up on television shows, and running with her dog, Lobo.